The big one is believed to be due every century or so along major fault lines – and California is long overdue. Eventually, there is just too much built up pressure that must be released. 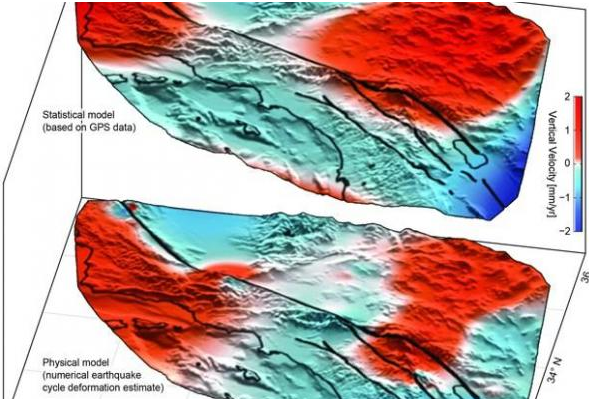 Although experts don’t know when a major earthquake may hit the San Andreas fault, they expect that it is simply inevitable and have warned for years about mitigating the disaster to come. Sadly, few of those warnings have been heeded, and major destruction is likely to someday affect, directly or indirectly, most of the tens of millions of residents who live in or near Los Angeles and the surrounding area. And the real world data is troubling as well. As SHTF recently reported, the news is not good. According to the leading scientists in the study of tectonic plates and movements, earthquakes must periodically relieve plate pressure (about 16 feet worth of movement every century), but that has not happened on the San Andreas fault during that time period – in fact, the event is overdue. […] “The springs on the San Andreas system have been wound very, very tight. If/when a major earthquake does hit the L.A. metro area, there will be a significant danger of societal collapse – with every major service from water, food, gas, electricity, transportation, sewage and more under threat of severe – and potentially prolonged – disruption.